As last month’s post extended into this months, there appears to be not as much happening as usual. 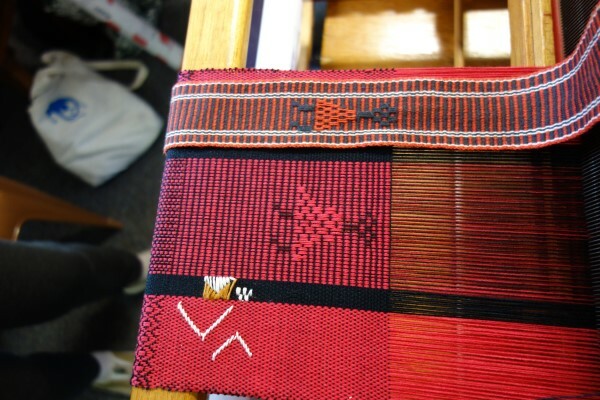 Firstly I’ll report on a beginner weaver’s completed projects, a road trip that included teaching for the Canberra Weavers guild and of course the ongoing Laotian loom project. 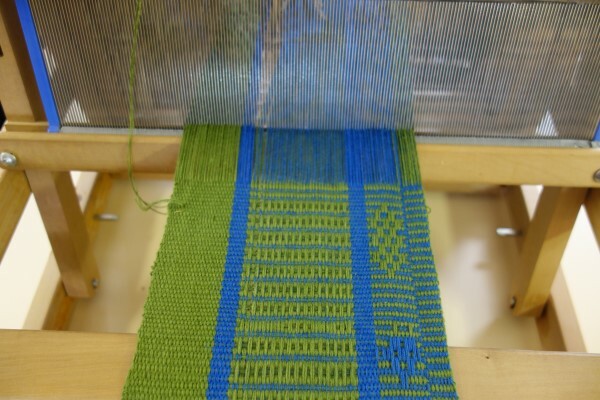 Last month Fleur finished her first warp. 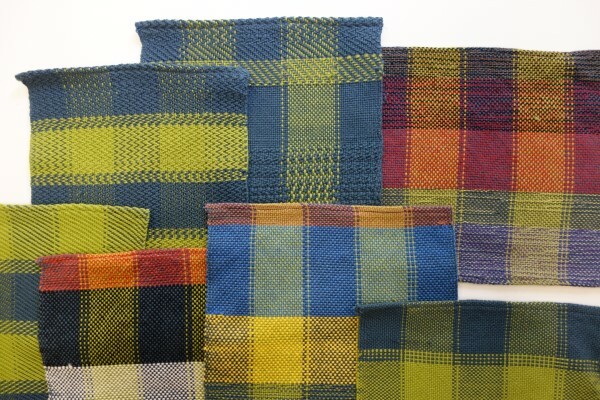 Here are the washed and finished series of handtowels. The end of the second week this month saw me set off on a road trip. 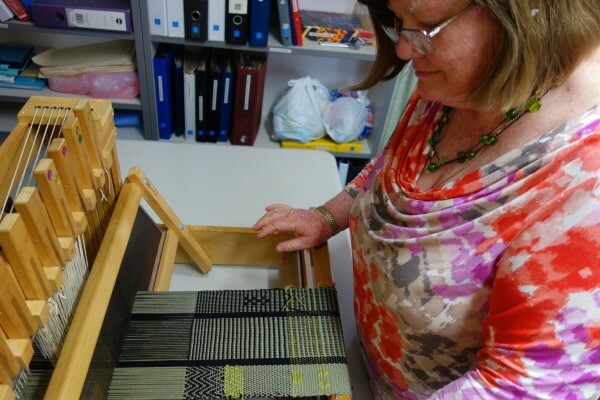 The first major stop was the Canberra Weavers where they did a 3 day workshop on East Meets West. It was only on the final day when everyone was packing up that I remembered the camera. 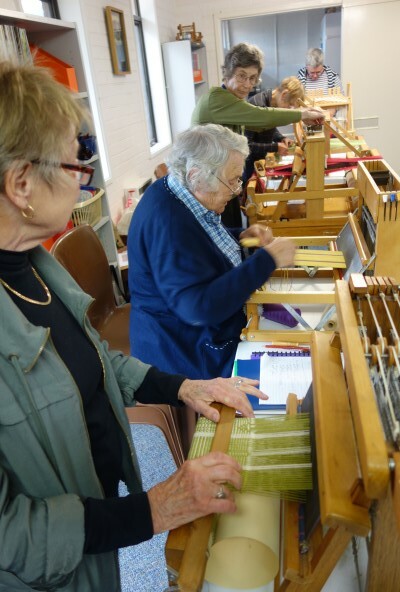 It was a very busy workshop with many techniques being explored. 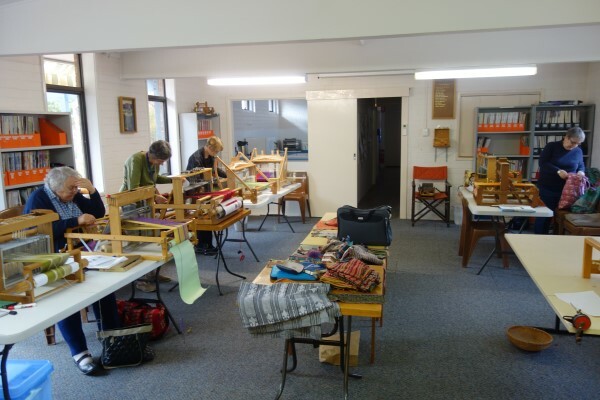 The guild own their own building and the facilities are terrific. They obviously take great and well deserved pride in their home: from the gardens to the actual space. It was a great venue to work in. Here packing up has commenced as there are cleared tables while others just want to keep working. It’s certainly a sign of their dedication and interest to want to keep working right up till the last possible moment. The following shows some of the work that was accomplished. It’s unfortunate that some escaped before I remembered the camera. 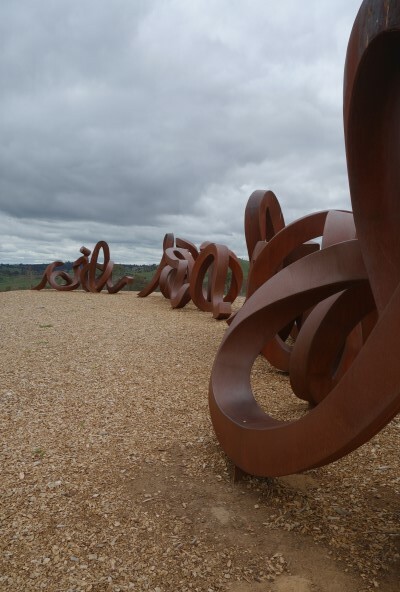 My hostess, Pam (who really did spoil me) took me to the Arboretum where I enjoyed this sculpture. I love the flow of the metal form and then how it transforms into script. 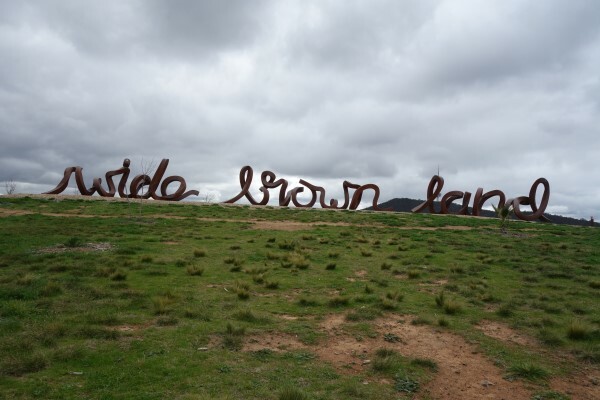 On leaving Canberra, I headed north. An examination of a map shows that by heading straight up on a map, you’ll eventually run into Blackwater. I was headed there primarily to collect my Pattern exhibition that had been in storage there for some months. 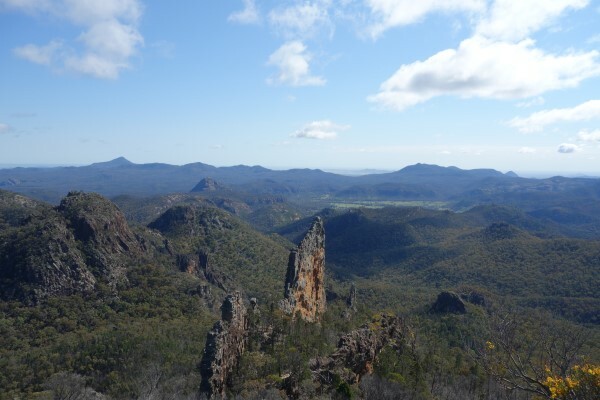 Along the way, I had a morning off and went hiking in the Warrumbungle National Park. The spring flowers were out and it was very beautiful. 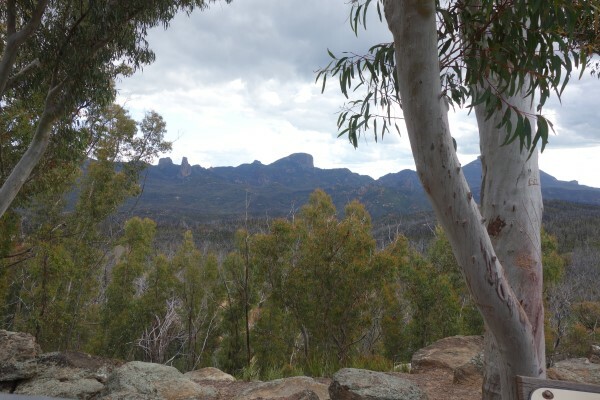 I also did a 6 km hike. It seems to me that 2 of those were straight up and of course 2km straight down, but the view was spectacular. Another couple of day’s drive saw me in Blackwater. 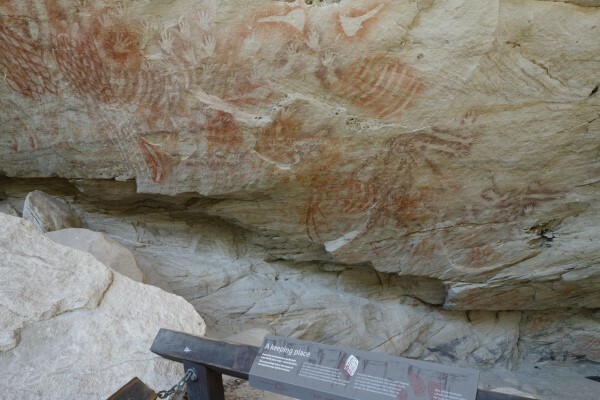 Not far away is another wonderful destination: The Carnarvon Gorge. 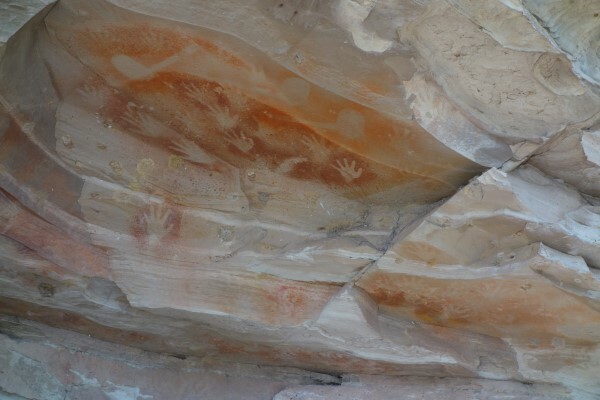 I’d been there before and have been inspired by the aboriginal rock art in my work. 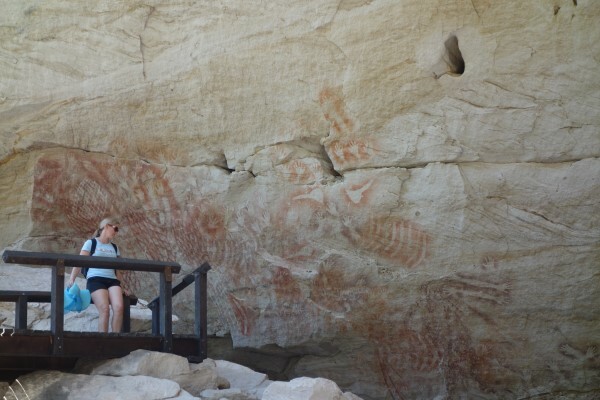 I took time to revisit these ancient sites. Total distance covered: 5,171km and home to a garden that in a matter of less than 3 weeks has embraced Spring. 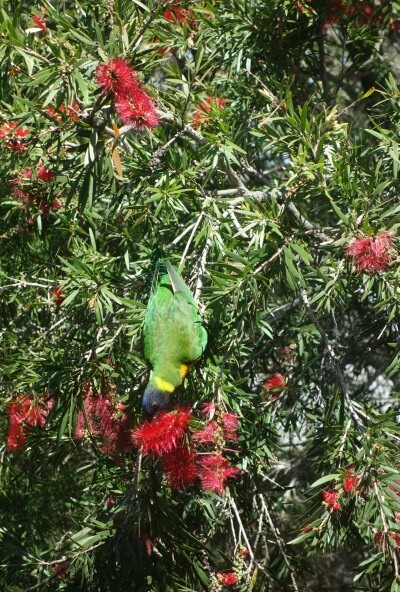 Now to the delight of the rainbow lorikeets there is great abundance of bottlebrush flowers. This is just outside my kitchen window.. There has not been much time tis month to work on the Laos Project. 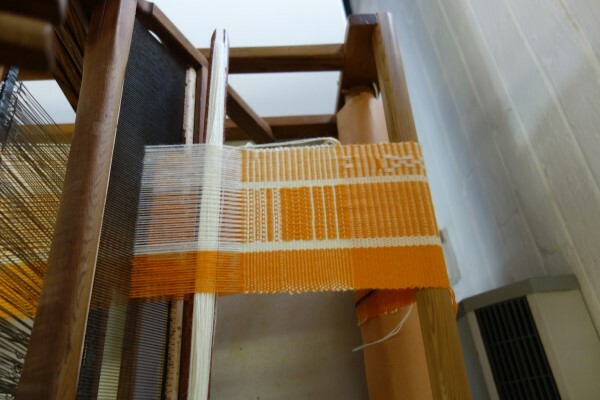 However when I left, I was very aware of the advantage of the original set up where the warp was tensioned by a knot at the front of the loom and the warp being free of the loom. 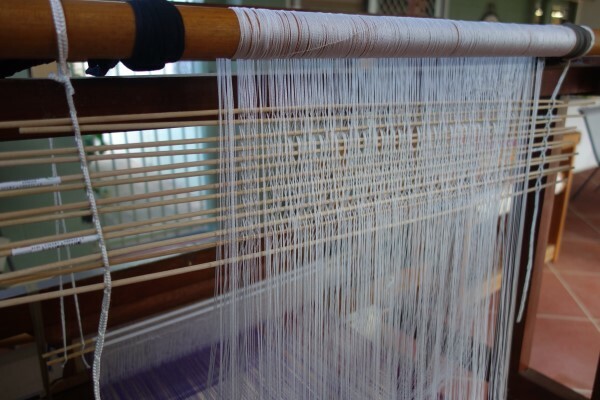 If I hadn’t wound it onto a cloth beam, I could have removed the whole lot very easily from the loom and put it in storage for the time I was away, safe from the elements. As it was, I just walked away and left it on the patio and hoped that the weather would be kind. There’s the full stored pattern. 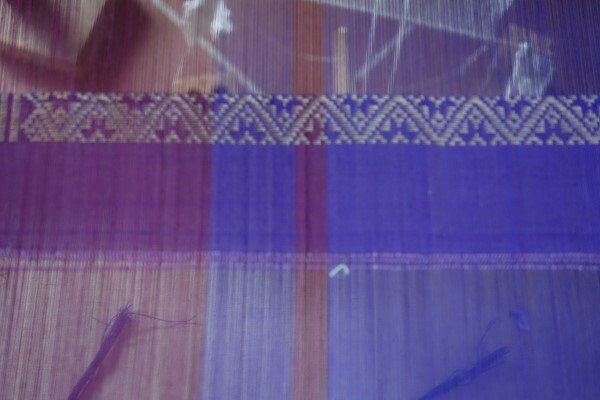 Hopefully this month, I may be able to have a good block of time to start weaving the stored pattern. You are currently browsing the Kay Faulkner's Blog blog archives for October, 2015.